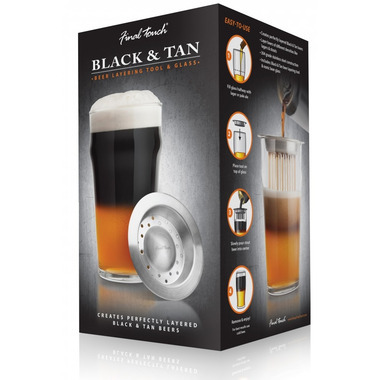 Create the perfectly layered Black & Tan with this stainless steel layering tool from Final Touch. 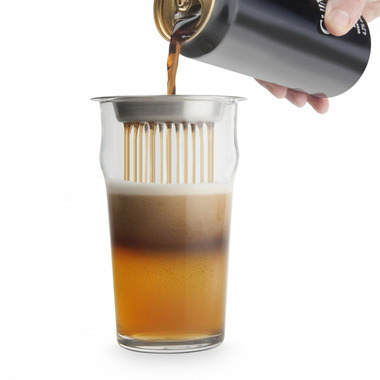 This tool slows the pour so you can layer beers of different densities such as pale ales & stouts. 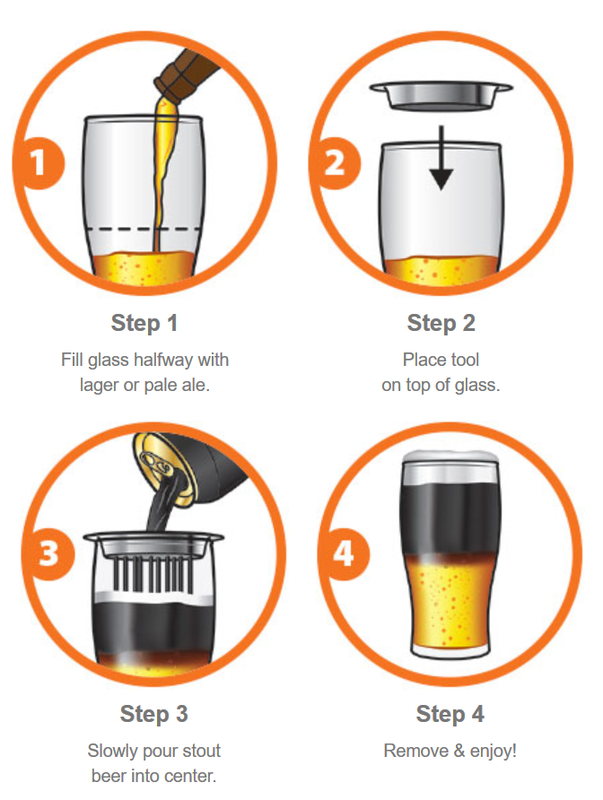 Simply fill the glass halfway with pale ale or lager, then place the tool on the glass & pour through the stout.